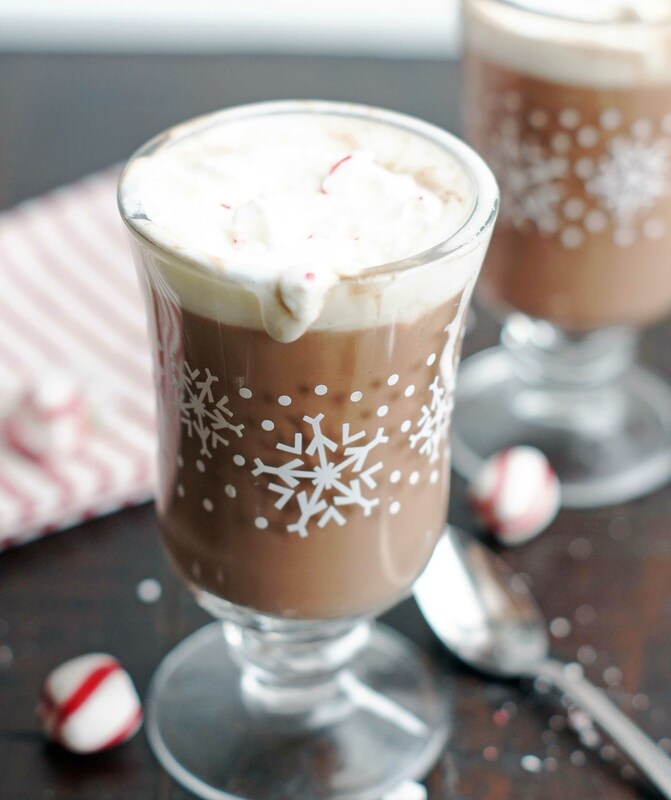 This Creamy Hot Chocolate is chocolatey goodness in a cup. It’s rich, decadent and absolute perfection. 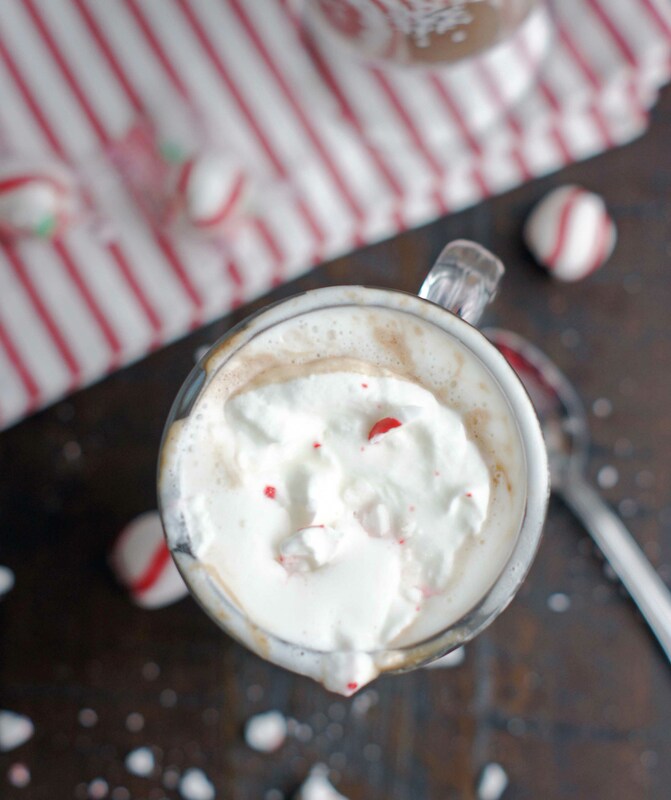 Topped with whipped cream and crushed candy cane. 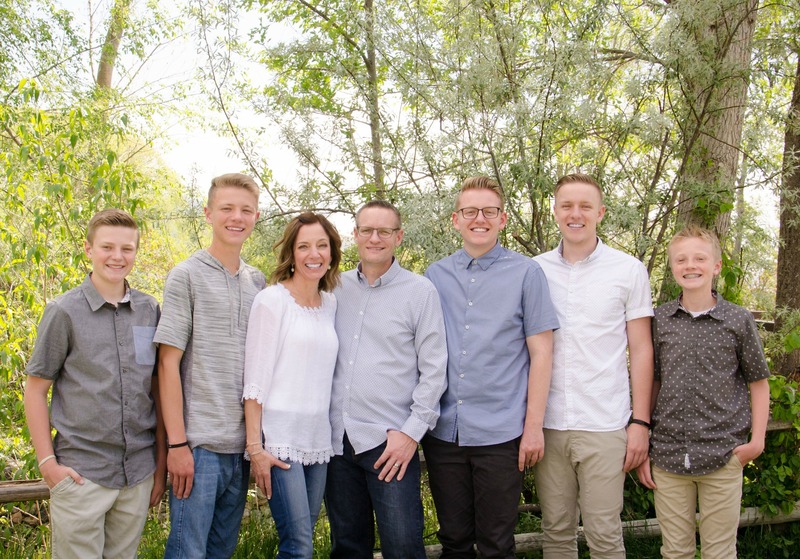 . . honestly, it doesn’t get any better this! 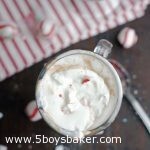 The sugar frenzy continues with my 12 Days of Sugar and today I have the perfect hot chocolate to share with you. Hot Chocolate is so magical to me. There is nothing better on a cold wintry day than a cup of delicious hot chocolate. We are huge hot chocolate lovers at our house and this Creamy Hot Chocolate completely won us over the other day. Some of the BEST hot chocolate I’ve ever had. It made me want to do cartwheels (which I probably would have done, but I’m old and would most likely have injured some part of my body). My boys absolutely love when the weather turns colder because they know that means one thing. . . hot chocolate every morning! It’s one of the very few good things about cold weather. I highly recommend topping it with fresh whipped cream and chopped candy cane or peppermint candy. This stuff is sinful. We devoured every last drop! You are going to want this every. single. day! Combine all ingredients in a large saucepan and whisk until combined. Heat over medium-low heat, stirring occasionally until heated through (don't let boil). Serve with whipped cream, marshmallows and/or crushed peppermint candy.